Cycling in Europe: World Bicycle Relief a great idea! If you read cycling magazines or scan the web for news of the latest road and mountain bikes you will rapidly notice that modern high quality bicycles are built of materials and using technology that would not be out of place in aerospace construction. The prices charged for these lightweight wonders also resemble the prices charged by aeromanufacturers. Although these bicycles are a triumph of modern design and manufacturing, I would like to suggest that the 300,000 heavy (24kg) steel framed single geared utility Buffalo Bicycles supplied by World Bicycle Relief (WBR) bring more happiness into the world than all the high-tech wonders. Buffalo Bicycles are durable with steel alloy frames, forks and spokes and a rear carrier capacity rated to 100kg. Weighing in at 5kg (a complete bike is 24kg), the weight of the steel frame is not a hindrance but evidence of the bicycle’s strength. WBR is committed to using high-quality, well-designed parts. This improves the bicycle’s functionality, reliability and strength, and keeps Buffalo Bicycles on the road. 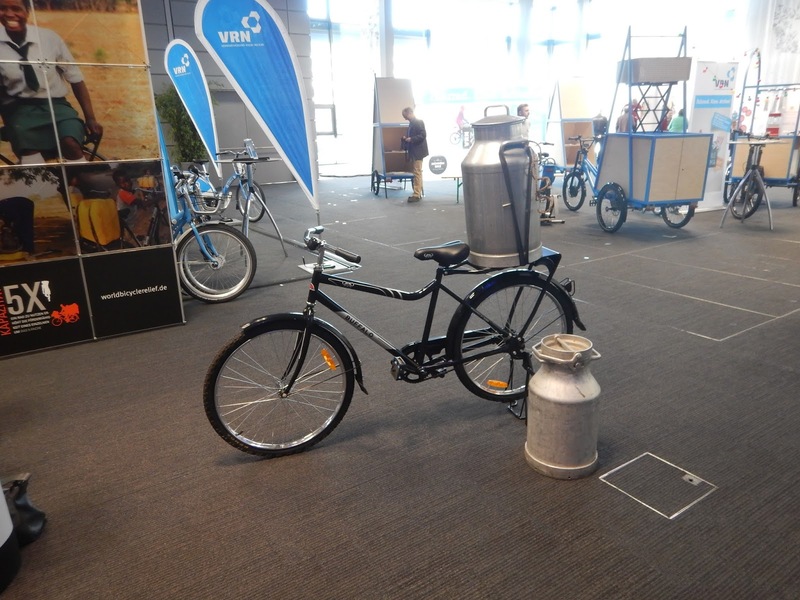 WBR has since organised programmes to provide specially designed, locally assembled bicycles for students, health care workers and entrepreneurs across Africa, South America and Southeast Asia. The bicycles help students travel farther to school, help health professionals see more patients a day and farmers and market traders find new markets and increase their carrying capacity. WBR has also created new economic opportunities by training field mechanics and employing bike assemblers to support their localprogrammes. WBR has developed an efficient, innovative and scalable model to successfully address the need for reliable, affordable transport in rural areas of developing countries. WBR works with a number of third world development aid charities and NGOs. If any bicycle club or organisation is looking for a charity to support World Bicycle Relief should be high on the list of candidates.